Grey Griffin has voiced multiple Star Wars characters in Star Wars animated series and video games. You’ll need to check out Griffin’s Wookieepedia page to see her full Star Wars credits (and the last time I looked it had not been updated with her work on LEGO Star Wars: All-Stars). 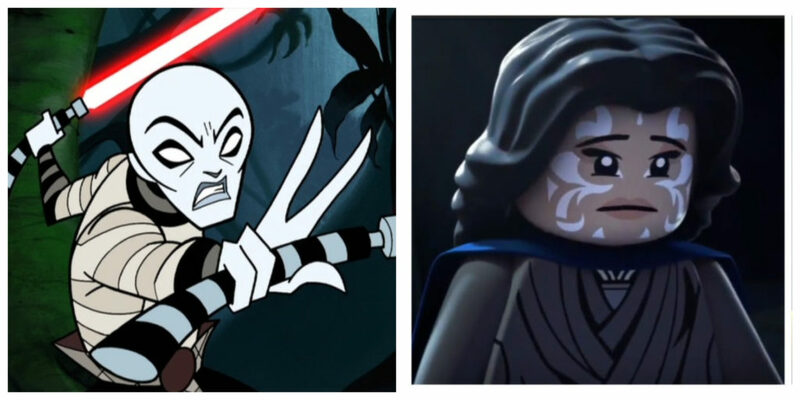 Some of the highlights of her work in Star Wars include voicing Asajj Ventress, Padmé Amidala and Shaak Ti in Star Wars: Clone Wars and Nare in LEGO Star Wars: The Freemaker Adventures. Grey Griffin currently has 546 actress credits on IMDB. Chances are if you’ve watched any animation in the last 20 years you have heard Griffin’s voice.